United States citizens enjoy privacy protections for their medical records, as established by the federal Health Insurance Portability and Accountability Act (HIPPA) passed by Congress in 1996. HIPPA stipulates that medical providers cannot talk about a patient’s medical history in any way to any party, including insurance companies, unless the patient has given direct permission by signing a HIPAA waiver. The act protects both patients and doctors. 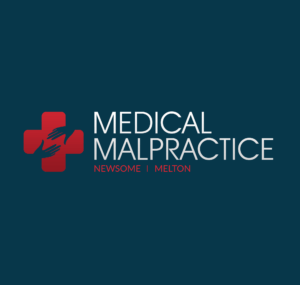 Patients are assured that their medical information is shared with people and companies only after they have given their permission, and if they follow the law, medical personnel cannot be sued for wrongfully releasing medical records. HIPPA specifies what types of medical records must be kept private and instructs medical workers as to how to properly use and store this information. The law grants these protections to what it calls protected health information. Included in this category are all medical records, any documents regarding treatment and billing, and payment records. None of this information may be released to a third party without the express, written authorization of the patient. Patients are also granted access to their own medical records under HIPPA, and the parties that hold that information are required to respond to a patient’s information requests in a timely manner. Once patients have requested any information regarding their medical records, the insurance company or medical provider must hand over those documents within 30 days. The law permits certain circumstances to override the privacy protections of HIPPA and allows medical records to be released without the patient’s authorization. The HIPPA privacy protection may only be violated with a court order, and the medical information must be necessary to resolve a case. For example, a court might decide that medical records will help substantiate or disprove allegations of child abuse, and the court may then access that information without a signed HIPPA waiver. HIPPA also helps crack down on medical fraud, since it keeps medical records confidential among patients, insurers, and medical personnel. The act lays out criminal and civil punishments for anyone who violates the act’s privacy protections. HIPPA contains provisions to help people maintain health care insurance during unemployment and to obtain coverage even when they have a preexisting condition. Under the law, people can keep their employer-provided health insurance even if they lose their job or switch to a new one that does not have health insurance. Under these circumstances, the individual must pick up paying the full insurance premium. As well, HIPPA requires insurers to provide some coverage for medical conditions with which the patient was diagnosed before getting the insurance policy. Within a set time period, generally a year to 18 months, insurers must start covering care for that preexisting condition.